To go with the pork chops and in keeping with a lighter menu i chargrilled some little gem lettuce. This really couldn’t be simpler to make and I’m a big fan of lettuce used in this way. I cut the lettuce into quarters length ways, washed it and then tossed it in olive oil and lemon juice before putting it onto a hot griddle. 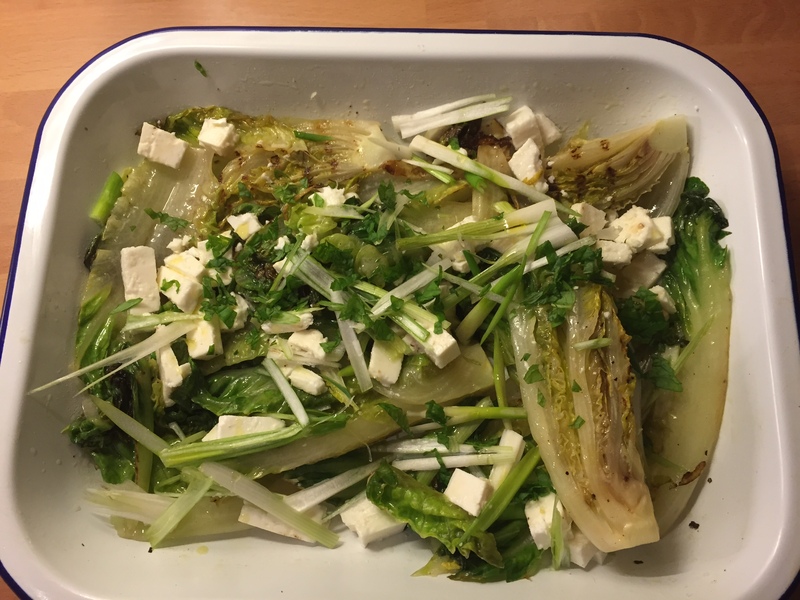 When there was a bit of charring and the lettuce began to wilt a little i simply put them in a dish added a little more oil and lemon juice as well as salt and pepper and then sprinkled with feta and spring onions. A great side for any barbecue feast. This entry was posted on March 29, 2015 by paulb in Sides.